Mitch is our guy. He is very informative on his review always making sure that I know what is going on in our facility. He goes above and beyond to ensure we are covered for what we are currently doing and looks forward with us on potential issues as we grow. We have complete trust in Mitch and McCloud! Our team comprises all of those who have an influence on the safety or quality of our products-including our PCO. Ethan is a wonderful part of our team! We have been with McCloud Pest Management for over 20 years and are very pleased with their service and professionalism! Mitch Mitchell is extremely professional and makes sure that I am well informed. Mitch is a valued resource for our plant. I rely on Mitch to help me with my food audits and to keep our plant pest free, he has never let me down. Gary Braden cares a lot to the extent that he treats his customers as if he was an employee or owner. McCloud Pest Management Solutions always does a great job at our facility. Chris Fowler is a great service man. He is always friendly, on time, and goes above and beyond to make sure we are educated and always communicates issues very well. Love the guys from McCloud! Always so fast and always have great conversation. Glad to have them on our team! I am happy with the service I receive. VERY QUICK TURN AROUND AND EXCELLENT SERVICE. McCloud is during a good job of helping met our goals of good housekeeping and moving into a Food Safety Program- Thanks. I am very pleased with the service and the high quality and service received from your technician, Mitch Mitchell. Our McCloud representative Chris is outstanding to work with. Very much appreciate all he does for us. Service at Bunge Decatur Indiana has been great. Nice Pak Products Mooresville, Indiana is very satisfied with our current service provider Paul Turner. Paul is very professional when on site doing is bi weekly inspections of our manufacturing site. We consistently have very minimal issues with any type of pest. Paul is very detailed in his inspection report and communicates with me face to face after he has completed his inspection to share any concerns identified during the inspection. We are a very happy customer of McCloud. Shows up when we call. The communication and collaboration of the technicians is exceptional, their understanding of our needs and ways to improve helps us as a team to get better all the time..
McCloud Pest Management is a very strong business partner with Nice Pak. Due to the excellent services provided by McCloud we have a very clean and healthy work environment at our facility. McCloud provides excellent customer service and has always proven that customer service is number 1, with immediate and prompt emergency services provided when called upon. McCloud technicians have always provided very thorough services, as well as providing excellent communication and documentation of services provided. Our Bi-monthly service visits with McCloud is always a positive experience. They do an excellent job..
Our rep from McCloud is very competent and efficient. He brings good suggestions to improve the overall functioning of our pest management program. Yes I am extremely happy with your service and the Tech's on site. Dianna Buntin. Like the service we receive and the technicians who come to our stores. Very helpful. McCloud has done wonderful for our company. They are always quick to respond to any issues / concerns we have, and answer any questions we have. Definitely recommend them. We appreciate your consistent expert advice and oversight! Great service, Professional and polite. McCloud is very attentive and responds quickly if issues are uncovered. Further, the licensed technician that services our buildings is great. He is very knowledgeable and ensures what we need is taken care of efficiently and effectively. McCloud Pest Management Solutions does a great job for our food distribution facility! Our technician is always on time, performs his inspections, updates our logs, and communicates with our facility manager every week. Always tries to help us with our little issues. Great company and friendly employees. Our company used them for many years. Very professional company. Always taking care of our needs. 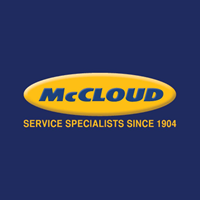 I have been working with McCloud service for over 13 years, from two different companies..... And they are a world class service provider. CLM Pallet has been using McCloud for several years. McCloud shows up every week to perform the duties they are asked to do. Thanks CLM Pallet. The technician was professional and easy to work with, once we had him in the right lunchroom, it seems the pest problem has improved. Although I have seen a couple in the few days. Need to spend more time at the location and be more thorough. Don't wait until an outbreak to step up...be proactive.